Posted on April 3, 2018 at 5:03 pm. Please comment on LPC Rules Changes! There is still time to comment on LPC rules changes. Public notice and the opportunity to comment are essential to good government. 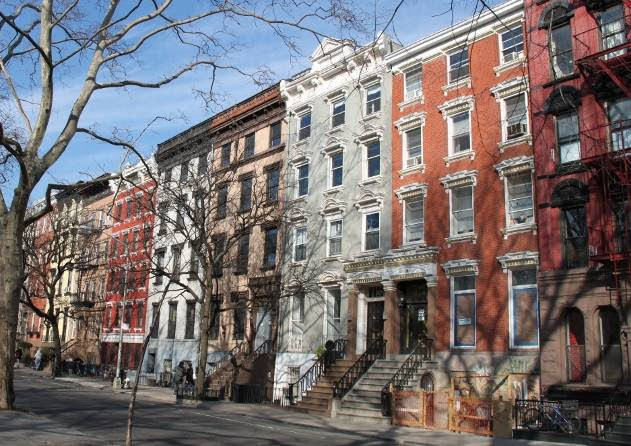 Sign on to GVSHP’s letter today! Neighbors, elected officials, Community Boards and preservationists turned out in force to voice concerns about the proposed set of changes to Landmarks Preservation Commission rules. With no public notice of applications or decisions made, and no opportunity to review or challenge applications, these will be presented as facts to LPC Staff, who are pressed to operate beyond capacity by the sheer volume of applications in today’s fast-paced market. Much to neighbors’ dismay, distressed historic family homes are being bought up and renovated for quick profit. Rear yard and rooftop additions are of particular concern. Our shared courtyards were designed to bring light and air into our apartments. The trend toward converting this essential space into rooftop decks and rear balconies, to be used by a few, negatively impacts everyone else’s quality of life. Preservation is not just about how buildings look from the street: it’s about how buildings function, and what they were designed to do. Decisions that affect the public should include public input! Read the Historic District Council’s comprehensive comments and testimony here. Read CB 3 Executive Committee’s resolution here. For the second time in two years, the State legislature sought to lift a half-century old limit on the size of residential buildings. The NYS budget that passed last week will keep our height restrictions in place for now, but these ideas have a tendency to resurface when an opportunity appears. We will remain vigilant. Posted on November 15, 2017 at 4:25 pm. Join GVSHP, LESPI, Cooper Square Committee, EVCC, Bowery Alliance of Neighbors and others to save our neighborhood from becoming a glassy Silicon Alley! A $150 million deal has been signed for a “boutique office building” to rise at 3rd Avenue and St. Mark’s Place.Multiple office buildings, hotels and high-rise condos are planned for this area, pushing out longtime residents and businesses. of 3rd and 4th Avenues. We call for timely community planning that is accountable to the people who live here, before it is too late.